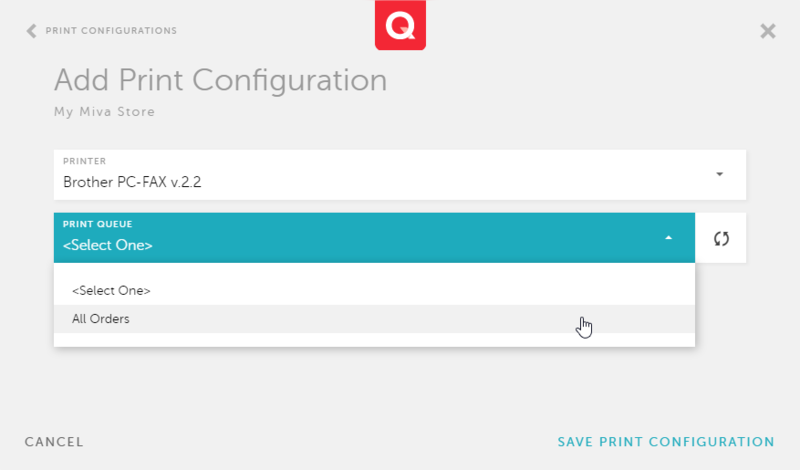 9.13 introduces new functionality for Print Queues. 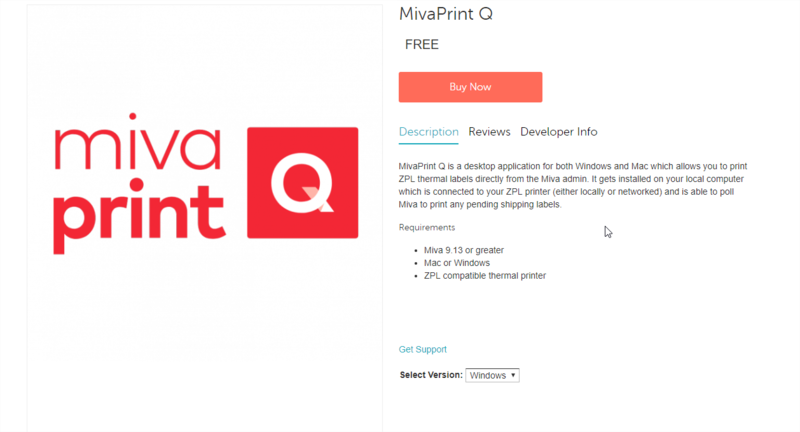 Miva allows you to create an unlimited number of print queues which would be used to print shipping labels to different printers or even different warehouses / locations. 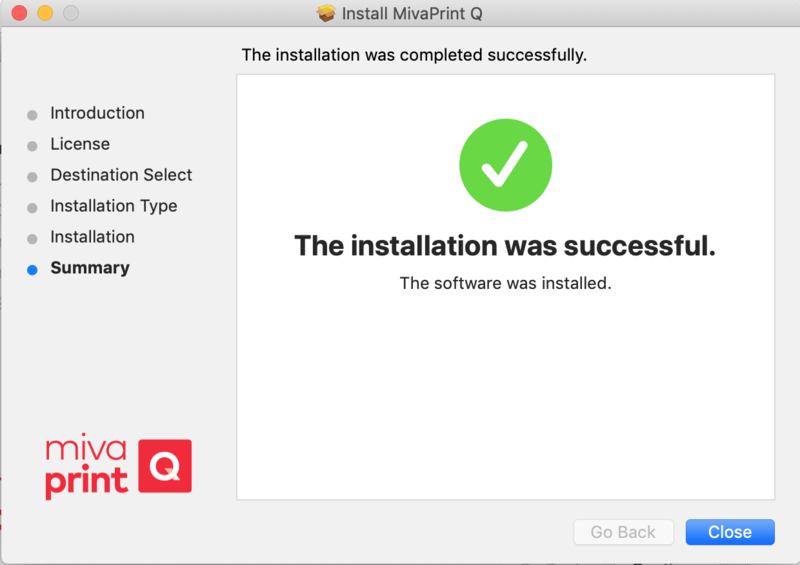 MivaPrint Q can be downloaded directly from the Miva App store. There are two install versions, one for Windows and one for Mac. 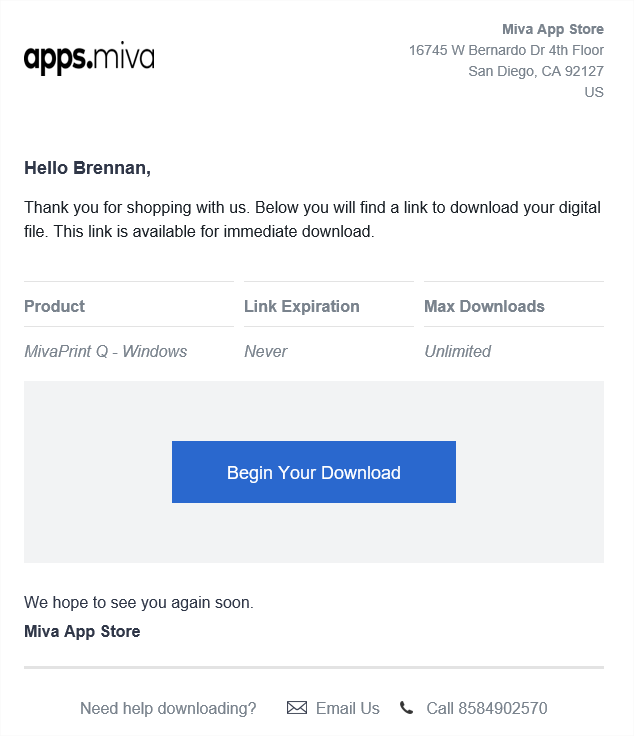 Once you complete checkout, you will immediately get an email with a link to download the MivaPrint Q software application. Choose the version which for your operating system this will be running on. 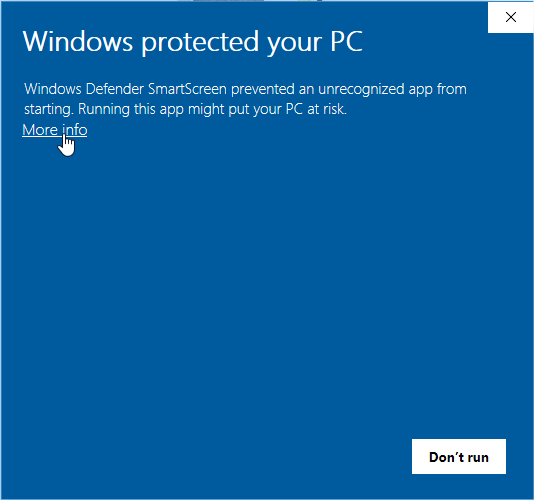 After the file has completed downloading, double click on the file to run it. 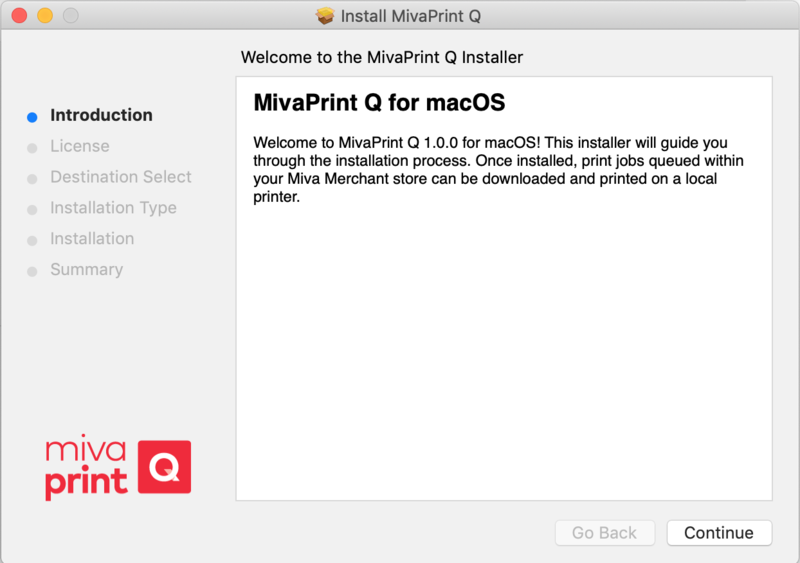 Your MivaPrint Q application should now be installed and ready to be configured. 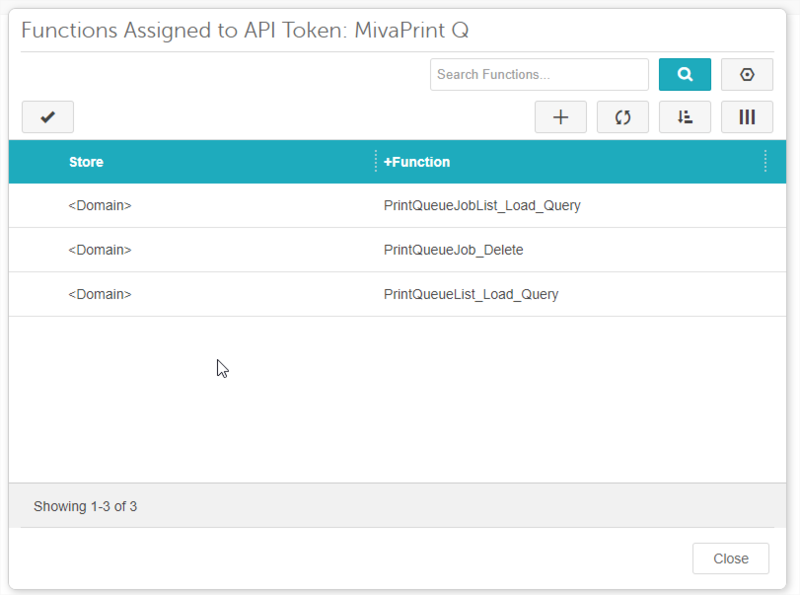 In order to use MivaPrint Q, you must first generate an API token in Miva. Give your API Token a name which you'll recognize. 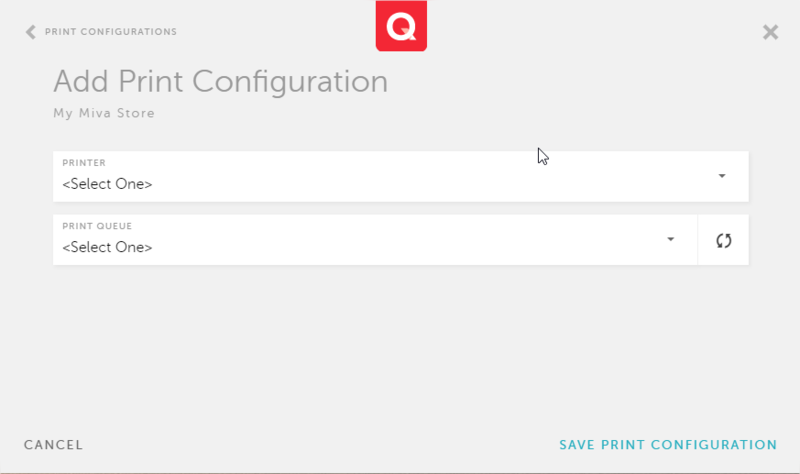 For Allowed IP addresses, if you have static IP address and know then for the computers running the MivaPrint Q app, enter then here. If not add 0.0.0.0/0 to bypass the IP address restrictions. 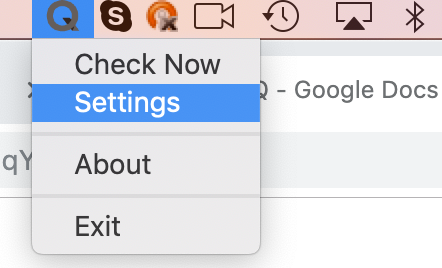 All other settings can should be left as default. Click Save to add. 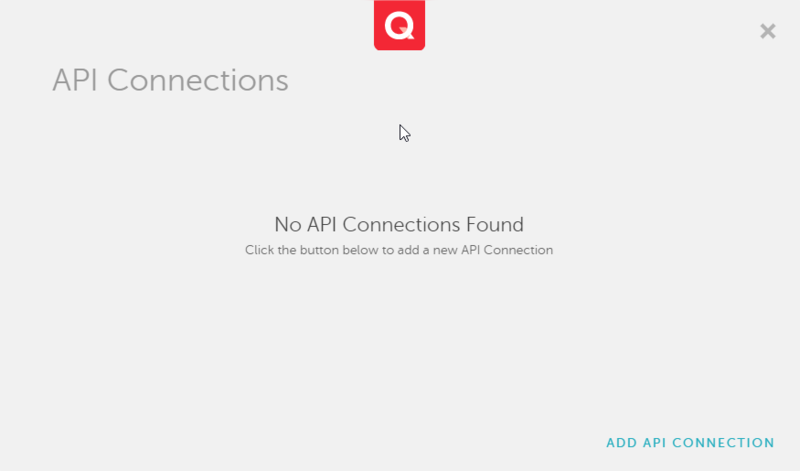 API Connection Name - Name this connection. 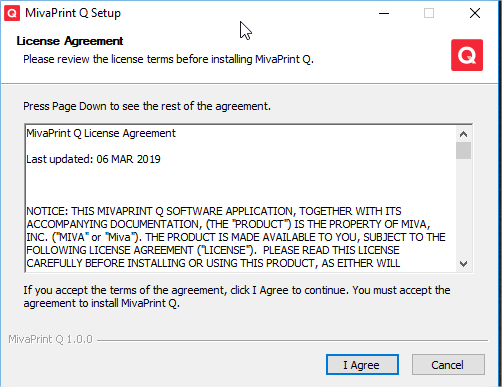 MivaPrint Q allows you to connect to multiple Miva stores if needed. 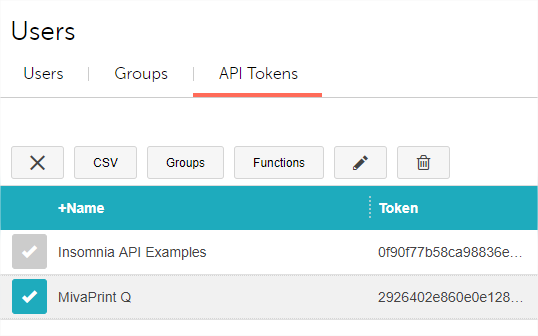 API Token - Copy this from Miva. 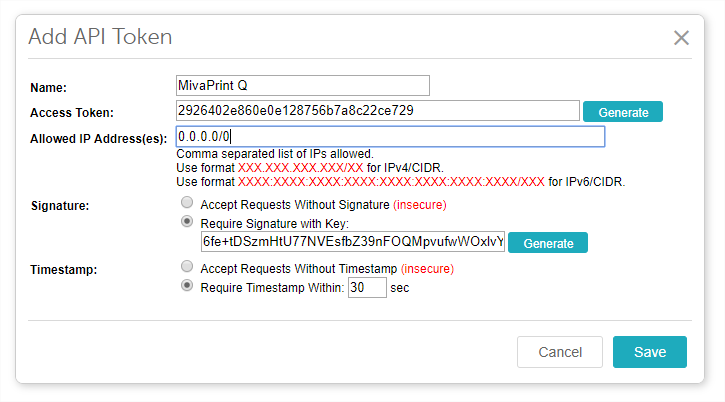 Signing Key - Go back to your API Token in Miva, hit the Generate button and copy this key. Be sure to hit Save before continuing. Polling Interval - This is default 30 seconds. This is how often the application should make a call to Miva to attempt to pull down and print any pending shipping labels. Hit Save API Connection. Miva will validate your credentials and not let you continue if there is a problem. Your Thermal Label printer will need to be installed on the computer which has the MivaPrint Q app on it. 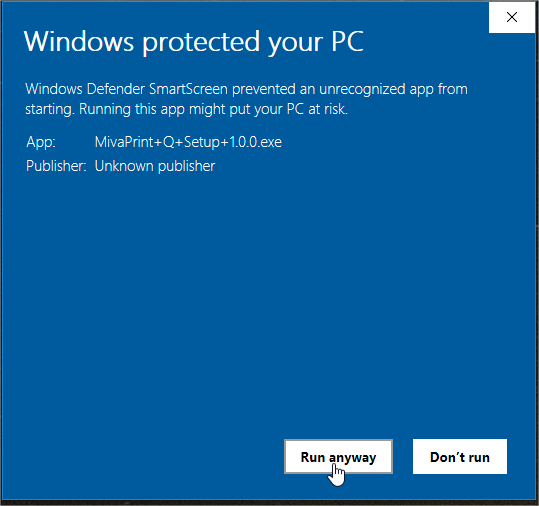 If you don't see your printer, check to verify the print driver is installed on the computer and try again. 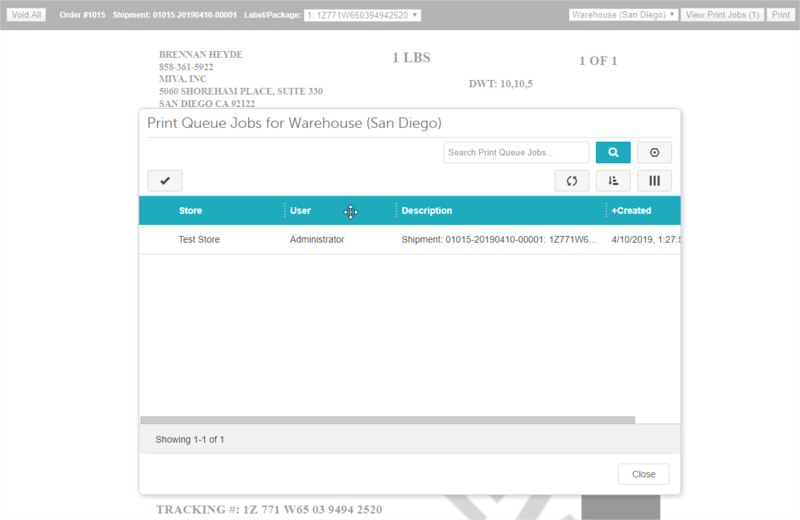 When you generate a label within Miva, the label screen has been updated to allow you to print a label to a specific print queue. 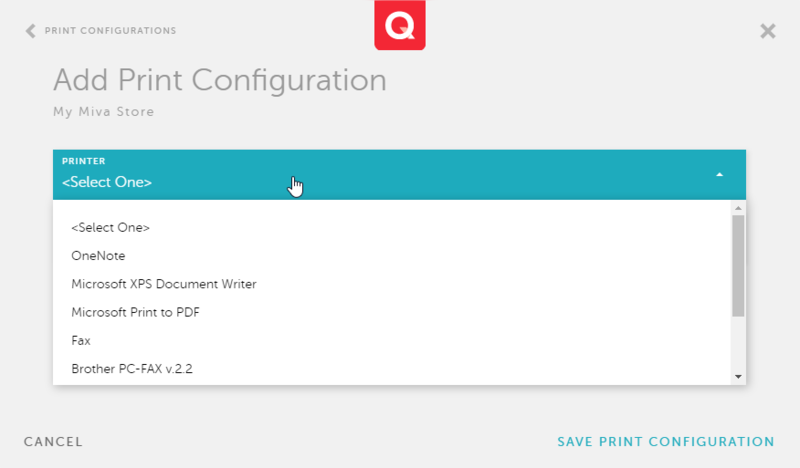 There is a new drop down which will show you all your print queues you've configured. 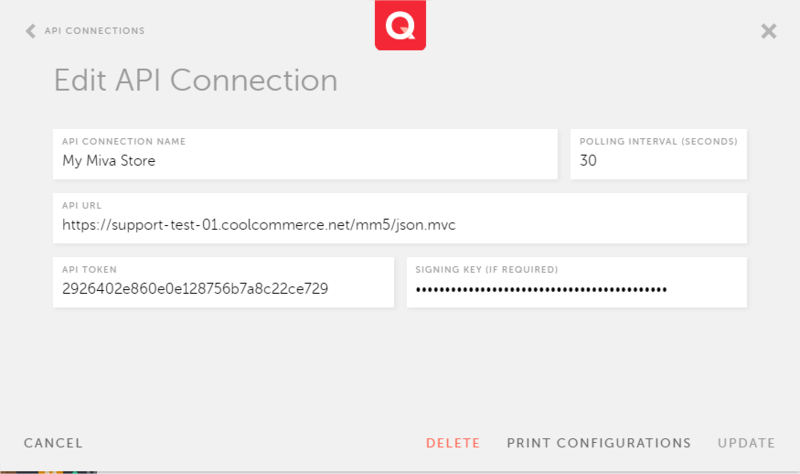 Anytime you print a label you can choose which print queue you want to sent it to. You can also use this dialog to delete any jobs from the print queue, say for example if you printed the same label twice accidentally.